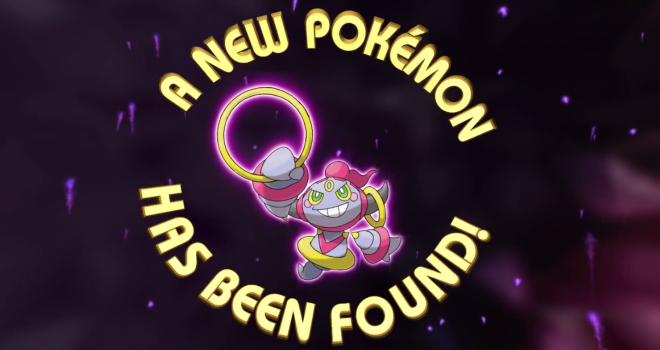 A brand new mythical Pokémon named Hoopa has been officially revealed! Hoopa is a Psychic/Ghost type and will be available in Omega Ruby and Alpha Sapphire through special means. 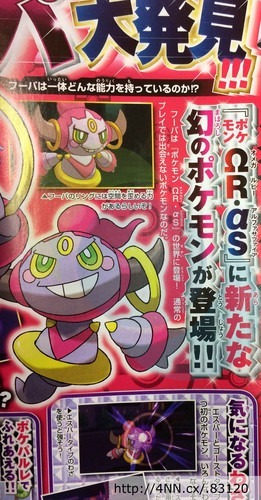 Hoopa will have the “Magician” ability, which allows it to steal the held item of the Pokémon it hit. We’ve known of Hoopa’s existence for quite a while thanks to hackers who found it in X and Y, but now we finally get an official look at it. We’ve yet to see an official reveal of the Pokémon’s Unbound Form, which turns it into a Psychic/Dark type, but I’m sure we can expect it soon. Hoopa will star in the 18th Pokémon anime movie, Ring no Chōmajin Hoopa.